To inspire the people of Los Angeles to make a difference in their lives and of those at Air Support Division through financial generosity for the purpose of providing education and enrichment to the personnel of the Division, which in turn provides improved service to the community. 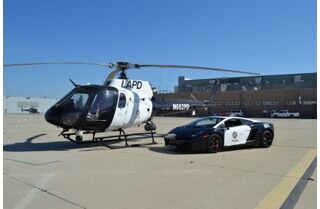 The Los Angeles Police Department Air Support Division is the largest municipal airborne law enforcement organization in the United States and operates from the LAPD Hooper Heliport. Air Support Division provides ground officers with valuable tactical information. 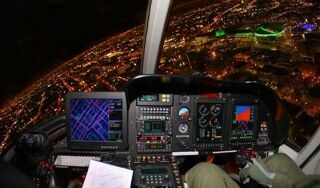 The helicopter crews assist with hundreds of arrests, pursuits and crimes in progress. Many suspects would have eluded capture without the assistance of the helicopter. The aircraft are equipped with the latest technology such as air and ground communications, moving maps, high definition surveillance cameras, infrared imaging cameras and high-powered lighting equipment. This cutting edge equipment also requires costly maintenance and also continued education. You can be a contributor to the safety of your community by donating to the Air Support Angel’s Foundation. Become one of our Angels today! &COPY; 2010-2019 Air Support Angels Foundation. All Rights Reserved.